The economic policies of the U.S. government and the Federal Reserve have not helped support economic growth since the 2008 banking crisis. Period. What they have done however is support economic activity. The distinction between the two is an important one. Economic growth (natural growth), an improvement in economic living standards, can only come about through increased production of the goods and services people actually demand. To achieve growth, people must restrict consumption (consume less than they produce) to make resources available for capital formation. This process makes possible further increases in production, saving, and investments, a process that can be repeated over and over again. When economic growth prevails, consumption can be financed by income instead of debt. Debt levels would hence be relatively small compared to income and not much different than savings (if an inelastic currency is employed, debt levels would be limited by the amount of savings). On the other hand, increased consumption financed by debt instead of income (production), increased production of stuff of which there would be little demand absent government regulation and support, and production that would be impossible absent cheap and abundant fiduciary media (credit unbacked by savings) all contribute to inflationary (artificial) growth. To sustain itself, inflationary growth require further and further increases in debt made possible only by an inflating money supply - a process that cannot be repeated continuously without setbacks (e.g. banking crisis, price inflation exceeding monetary policy mandate). Large levels of debt relative to income and savings exemplify an economy dominated by inflationary growth. Therefore, economic growth is sustainable while inflationary growth is not. An aim of government deficit spending is to increase economic activity, of which maximising employment rather than production plays an integral part. Monetary policies support this aim, especially during periods of GDP recessions. But what is actually meant by increased economic activity? Is it an increase in GDP? Is it synonymous with economic growth? Or is it simply inflationary growth? If by increased economic activity we are to understand any increase in production, employment, investment, trade or consumption, then policies promoting such developments will probably succeed, at least temporarily. Creating any activity to keep people busy is rather straight forward when it can be financed with deficit spending supported by regulations and facilitated by a banking system standing ready to finance the spending through monetary inflation. This of course means that everybody else pays for it through a decline in the purchasing power of their current savings and future income. The likely outcome of such increases in economic activity is thus less economic growth. The problem is that such policies rarely discriminate between productive and unproductive activity. For example, the purpose of government deficit spending, besides financing wars, once was to compensate for an economic slowdown in the private sector. 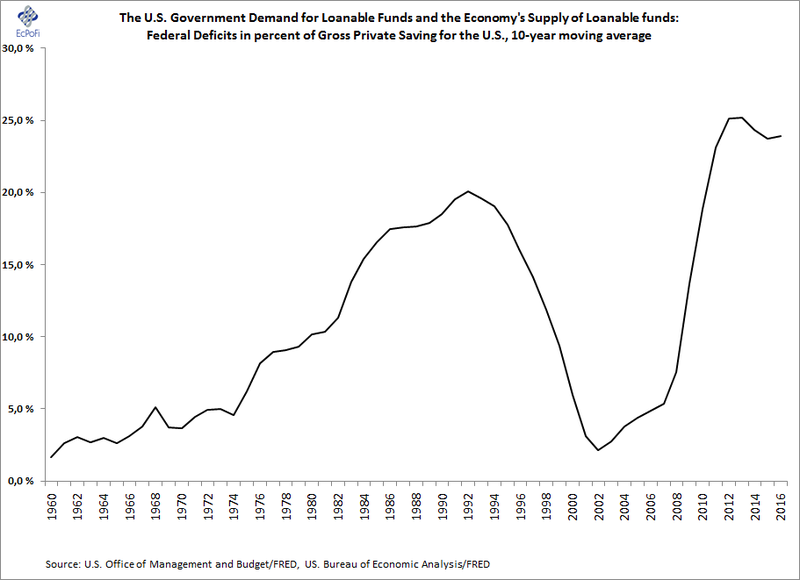 The running of fiscal deficits was meant as an intermediate measure to shorten a recession and spur economic growth. The idea being that this “stimulus” would later bring about private sector surpluses to fill the deficit gap. This promise has never been fulfilled. Developments in recent years are no exception. The results of deficit spending have been unequivocally poor with respect to the accumulation of further debt; most western countries, and many others, have by now accumulated more government debt than can ever be repaid with any reasonable or remotely palatable taxation policy. Going deeper into debt to reduce debt has predictably culminated in yet more debt. In the U.S., economic policies have led to not only substantial increases in debt, but have, more importantly, led to a dramatic decline in personal income relative to government debt. As less government debt and higher personal income clearly is desirable to more debt and less income, any reasonable taxpayer and government official, given the choice, would prefer a higher ratio to a lower one. As the chart above shows, this ratio in the U.S. is now at the lowest level ever reported during the last 50 years. Since the ratio peaked in 1981, debt has increased 1,842 percent in total (ca 6.1% p.a.) while personal income has greatly lagged and only expanded 651 percent (ca 4.1% p.a.). If there is one thing this chart clearly shows it is this: increased government debt has done an extremely poor job of raising total personal income in the U.S. In fact, relative to government debt, it has achieved the exact opposite. Since monetary inflation again has lead to dramatic increases in financial asset prices and house prices, it should come as little surprise that those with relatively low wages and salaries (which tend to be tenants with little or no financial assets) have been loosing out. Many have hence become increasingly dependent on taking on further debt to sustain a reasonable standard of living. Despite the fact that it fails to spur economic growth, deficit spending continues to be the norm, rather than a counter-cyclical economic policy as it was once intended to be. The problem of course is that deficit spending seeks to promote economic activity that does not contribute to economic growth. Economic activity can be increased rather effortlessly through any increase in government spending financed with an inflating money supply. The recipients spend (a part of) the money received, which again are spent by the next recipient and so forth. GDP, real and nominal, grow as a result. Economic policies promoting such activity are however better referred to as uneconomic policies as they, more than anything else, promote the consumption of scarce resources. Increased economic activity is therefore closely related to inflationary growth, not natural economic growth. Policies promoting economic growth on the other hand appear much more difficult to implement, not least because such policies require fiscal discipline and actually dealing prudently with the economic problems at hand. Prudence, as the history of government debt expansion has by now proven beyond doubt, cannot be expected of politicians. Most economic policies today are policies supporting economic activity (solving an alleged "lack of demand"), not economic growth (increased production). The promoters of increased economic activity fail to see, or perhaps ignore it because they are often the benefactors, the general fallacy more often than not underpinning their policies, not to mention their consequences; the fallacy of overlooking secondary consequences. Firstly, if the actions triggered by the policies truly helped the people making up an economy, why did not entrepreneurs pursue these avenues in the first place? Presumably the answer is a lack of savings, capital, profit opportunities, or high regulatory burdens. For economic policies to be effective, that is, promote economic growth, they must address the fundamental problems hampering economic growth instead of attempting to fix the symptoms, e.g. a “lack of demand” which is little other than a lack of production. And then we have “uncertainty” (or a “lack of confidence”), a regular complaint for lackluster business conditions and declining asset prices, which is only problematic if it is created by government itself. Uncertainty, an inherent feature of life in general and not just in the world of business and investing, is regularly viewed as a negative only. 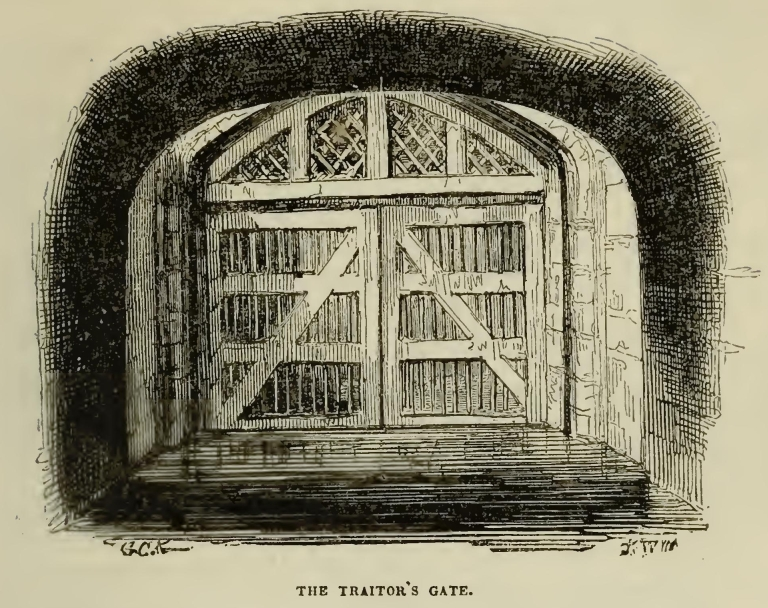 However, uncertainty acts as an effective deterrent to the (indiscriminate) wasting of resources, a quality frequently not only disregarded, but often discarded altogether. When uncertainty is attempted eliminated by government, moral hazard prevails - a major problem in particularly one sector affecting all; banking. Secondly, deficit spending aiming to spur economic activity, often as a means to compensate for a supposed shortfall in aggregate demand, comes at a grave cost: the consumption of resources and the draining of savings that would have been employed more profitably (if not immediately, then later) by the private sector producing the stuff people truly want. Simply put, government intervention focused on increased economic activity today comes at the expense of a reduction in savings and investments and, as a consequence, at the expense of future economic growth which require both. While economic growth can continue unabated as mentioned, economic activity feeds on whatever economic growth there is in some sectors of the economy and private sector savings. As the proportion of economic growth to economic activity declines and as savings become depleted, economic activity will in due course decline as well. That is, the economy enters a period recognised by declining economic growth and declining economic activity. 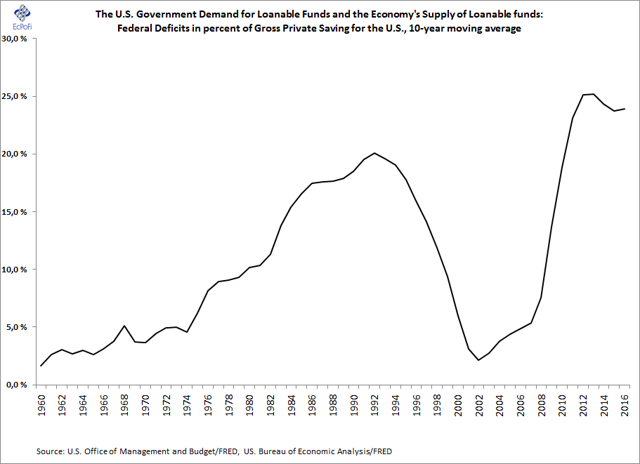 Therefore, as government demand for loanable funds (deficits) compared to the supply of loanable funds (saving) in recent years has been at the highest level reported since the early 1950s, there is little wonder not only economic growth, but also economic activity, has been on the decline in the U.S. The only “stimulus” economic policies supporting an expansion of economic activity can ever hope to achieve is therefore an increase in consumption at the expense of savings and investments. And this is exactly what these kind of policies have achieved in the U.S. In short, deficit spending encourages the depletion of savings to “keep the economy going” over the short term - the exact opposite of that required for economic growth. It is but the illusion of growth; increased consumption and decreased saving today mean less economic growth and consumption in the future. Only those policies facilitating increased production of the goods and services demanded by consumers, including less government spending, lower taxes, and decreased regulatory burdens, can ever help unleash economic growth. No matter what pro-growth policies are implemented by the Trump administration, the hangover from previous administrations will hamper economic growth for years. It would therefore take a miracle for economic growth to take hold any time soon. 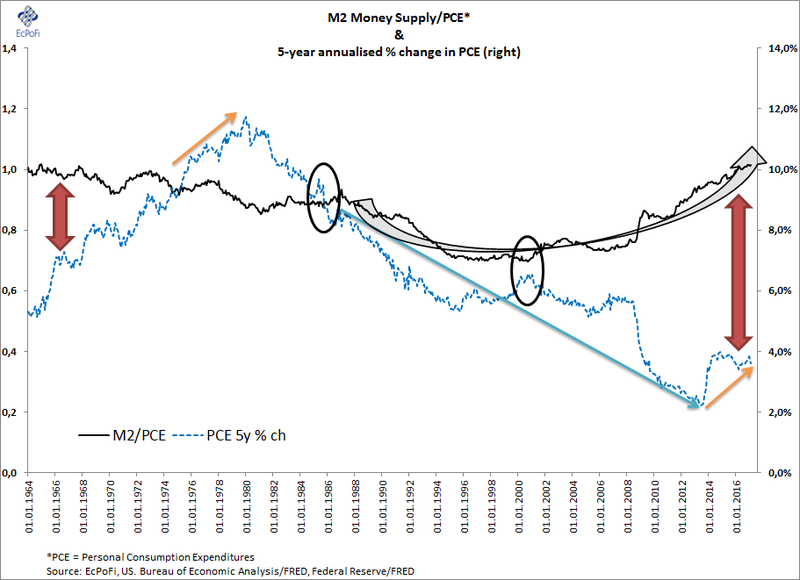 Monetary inflation on the other hand has long been rampant. But to the extent the reported data is indicative of reality, this inflation is seemingly yet to impact consumer prices much. The reason appears to be personal income growth which has greatly lagged monetary inflation. Why that is the case will not be attempted answered here, but this certainly could suggest a job market that is considerably softer than the official story might suggest. There are also good reasons to believe consumer price inflation is much higher than reported. Whatever the case, if the reported numbers do reflect reality then at some stage the influx of money that have entered the economy in recent years must eventually start pushing both salaries and prices up to a greater extent than what has been the case thus far. If it does, this does not however mean economic growth is picking up. Rather, it will be a reflection of past increases in the quantity of money and production that is failing to keep pace with inflation or even declining. That is, stagflation might even get a stronger foothold than it has today.